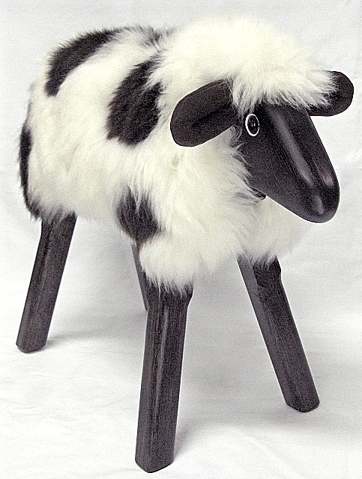 Jacob Lamb footstool or child's seat. Made from solid timber and a genuine hand tailored Jacob fleece which can be easily removed for hand or machine washing if required. Friendly and fun unique furniture for your child's bedroom, nursery or for you to put up your feet and relax! Made to order. Please allow around 2 weeks from order to delivery or if you have a special occasion sooner contact us to check availability. 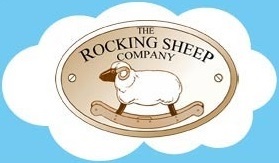 Please note that due to the natural nature of sheeps fleece the markings are variable. The one pictured here is just an example. We can add a gift tag with any wording you choose at no cost. Just let us know your wording.